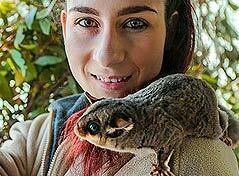 Visit a real working wildlife sanctuary. 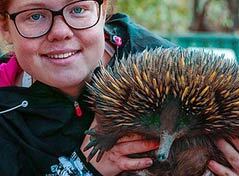 Walkabout Park was established to protect animals that come into care, breed endangered animals for release back into the wild and to provide an experiential learning space for students. This is a place where visitors can immerse themselves in the animals' world and understand why and how to save their homes, food and wildlife corridors. 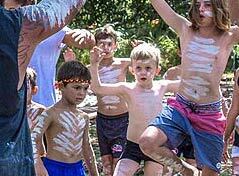 Walkabout Park is on Darkinjung and Guringai land in a rich Aboriginal landscape. Ancient knowledge teaches how to care for country. Animals can look after themselves, as long as their habitat is healthy. Unfortunately It is the actions of people that pose the most risk to wild habitat. Walkabout Park is a fun and fascinating place to visit for people of all ages and abilities. Its primary purpose is not to be "the best family day out". What is really cool, however, is that it is. There are few things to do that beat spending a day (or, even better, overnight) in the Australian bush with friendly animals. Walkabout Park has a zoo license which allows the team to give permanent care to the animals so that they can live out their lives in the sanctuary if they cannot go back into the wild. That is where the similarities with a zoo stops. 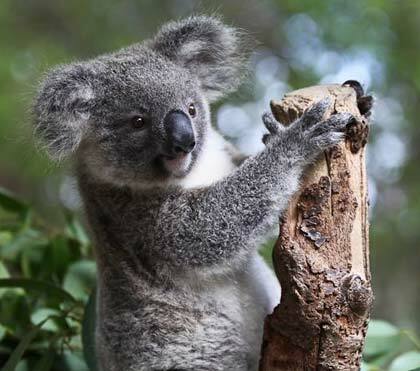 Step into the animals' world and go walkabout with the friendliest wild wildlife in Australia. 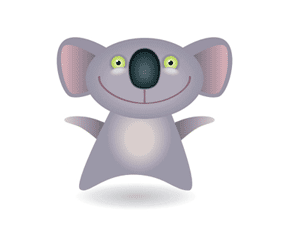 Choose TAB "Daytime Visits" or "Night Visits" or "Kids' Activities" or "Videos"
Lots of animals roaming free, visit ancient Aboriginal sites. No booking needed. 9am to 5pm every day (except Christmas Day). Ranger-led activities from 10am to 4pm included in Entry Fee. A wonderful experience, hire your own ranger. With your own ranger you can go behind the scenes and off the tracks. Enjoy some special animal one-on-one time, or private bush lessons. A ranger-led adventure with your choice of activities. Tailored to your interests, energy level and budget. 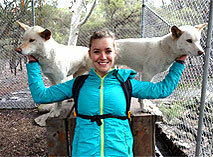 Coffee with the animals, an easy bush walk, or something more strenous. Short visits, or stay all day. Team up with a ranger and be a "Ranger for a Day". This is not a soft option, this is the real thing. Arrive ready for a real day's work. Bring your camera and water bottle. For adults and teenagers only. An evening with the animals. Go spotlighting for wildlife with your ranger. Play tug-of-war with the devils. Toast marshmallows on the campfire (weather permitting). Bring a picnic, good walking shoes, and a flashlight! So much more special than a night in a zoo. Sleep safe in the real Aussie bush. "Do your own thing", or join a ranger-led tour. Go wildlife spotlighting. 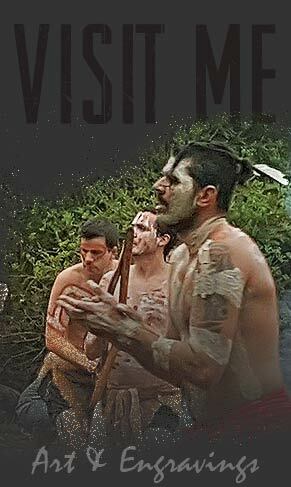 Visit Aboriginal sites and taste wild-growing bush tucker. If you like your wildlife with a little luxury. Hire an eco-cabin for the night with linen, towels, kitchen and ensuite. Create your own adventure. 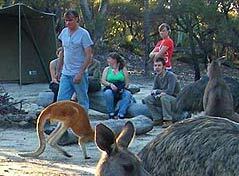 Add ranger-led animal encounters or Aboriginal sites walkabout workshops. Get close to Country. Work with the rangers. 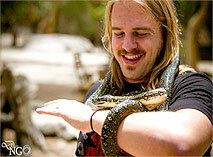 Meet friendly wildlife. Sleep under the Milky Way. Learn Aboriginal lore about how to live in harmony with the world, ancient teachings still relevant today. Celebrate with a ranger-led animal adventure in the bush. Great for all ages. Choose a "Fuzzy Friends", "Reptile Rampage" or "Wild Walkabout" adventure with your own personal ranger. 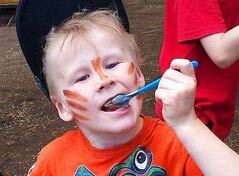 School holiday fun for groups of 15 or more. 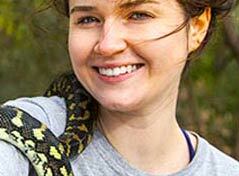 Ranger-led walkabout workshops "Spikes, Scales, Feathers and Fur" and "Aboriginal Bush Skills". Choose one or both modules. Designed for ages 4 to 14. Day visits or "Bed-in-the-Bush". Lessons from the bush. A safe bush adventure. 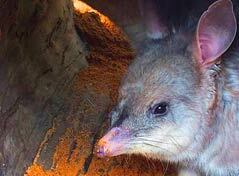 Bush walks, Aboriginal sites, Dreamtime stories, friendly wildlife. Do badge work, jamborees and scout camps. Once you enter the park gates, it’s easy to see why Lonely Planet named Walkabout Park as one of the top ten best family friendly animal adventures in the world. 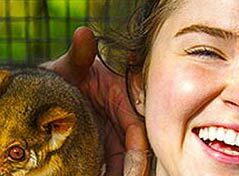 Over 180 species of mammals, birds, reptiles and frogs call Walkabout Park home. Many of these animals are species on the verge of extinction, but here within the park walls, protected from introduced dangers, they are thriving! 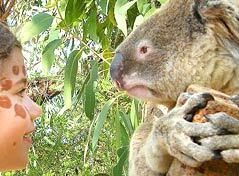 Australia Walkabout Wildlife Park is Australia’s largest working wildlife sanctuary. Need more cute in your day? Check out our Instagram for more adorable posts - like this photo of Ranger Ray and beautiful Kambala the koala! An overnight bush adventure for everyone, with friendly animals, optional animal encounters and Aboriginal cultural tours, and all day access to the sanctuary. Eco-education in the wild. Work with the animals in the bush with the rangers. Learn about Aboriginal culture. Your tent is set up ready for you, hot showers are close by, and the wildlife wanders through the campsite. 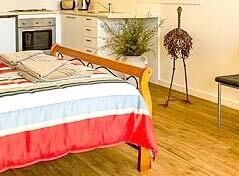 Choose a cottage with en suite, and everything supplied. Relax on your veranda with the kangaroos. Click on "Night Visits" above to plan your adventure, or go straight to "Book Online" if you know what you want.